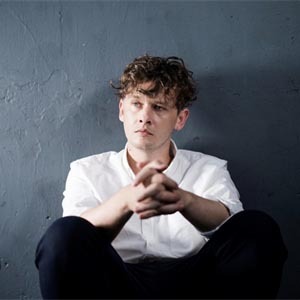 English multi-instrumentalist/composer/singer/songwriter Bill Ryder-Jones began his music career as the lead guitarist for popular Hoylake-based psychedelic pop outfit The Coral, with whom he spent 12 years before embracing on a solo career. Influenced by the likes of Ennio Morricone, Radiohead’s Jonny Greenwood, and the pastoral English fold of the late Nick Drake, Ryder-Jones provided the score for the 2009 short film ‘Leave Taking’, which was directed by longtime friend Laurence Easeman. The compositions made up the bulk of his debut EP, ‘A Leave Taking Soundtrack’, and were followed by further forays into film soundtracks for ‘It’s Natural to Be Afraid’ (2010), ‘Bed’ (2011), and ‘Piggy’ (2012).